This year, the Range Rover is not at all the same as it used to be earlier. The all steel structure of 2014 Range Rover Sport has underpinned even the last years Land Rover model and fails borderline from being sporty. However, the new owners of Land Rover i.e. Tata Motors have deployed a new generation aluminum structure which is light in weight and was also seen first time in the Range Rover launched last year. 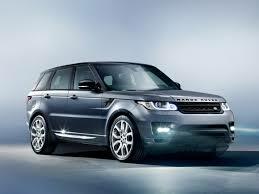 The weight reduction for a 2014 Range Rover sport is somewhere around 800 pounds which actually makes some difference. However, the weight reduction might seem interesting to some if you give importance to the expanded dimensions of this version. Newly launched 2014 Range River Sport is 2.4 inch longer and 2.2 inch wider in comparison to its predecessors. The additional seven inches on wheel base make this SUV more subtle and balanced while also getting away from its predecessors’ bling styling. The newly introduced seven seat option, which is usually not a part of a full Range Rover is good but perches are small. However, no comprise is made on seating space and enough attention is paid to the comfort of driver as well as passengers. Quality improvements in the well equipped, well designed and reconstructed inside cabin are quite apparent with extra wheel base offering more space. Reorganized seats have made seat comfort a priority with a bit of compromised luggage space, but we are not complaining. Materials used for building interiors are certainly of high quality and feels lovely to touch, must say the interiors are well thought while designing. However, rear seats are only generously comfortable, but overall the Range Rover sport offers loads of useful storage options and rather grand front seat comfort. All electronic dashboard seems a little dumpy and disappointing in comparison to the remaining interior and the touchscreen controls of the infotainment panel are also a bit laid down as compared to the touchscreen panels available on its competitors. While on road, the 2014 Range Rover Sport ensures comfortable ride, graduated roll control, subtle approach to road bumps and well weighed steering that offer accurate performance. Some test drivers might find wading depth indicator a gimmick but is completely optional. Riding on tough rocks and want to protect tires? Here comes the all around cameras to show the exact position of the wheels in relation to the road, and trust it’s brilliant. For a tough journey among mountains and mud, 2014 Range Rover sport is the SUV to watch out for as the comfort it and driving dynamics it offer are undoubtedly not available in any other crossover coming at its price. The next gen Range Rover starts at a price of $20,000 and also has extra two seats on offer, which is not as bad as it seem too many. If you are looking for sports SUV and belong to families hauling from rich parents then surely 2014 Range Rover Sport is your safest bet for a futuristic crossover.